This morning I woke up with a degree from an ACC school. 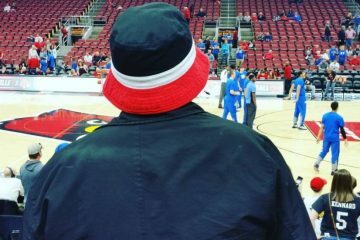 So much of what we do at TheCrunchZone.com is athletics related, but UofL is ultimately: A School. A school I proudly call my alma mater. When I enrolled UofL was a Conference USA School, struggling with its identity as an urban school with a story and potential that few realized. Louisville couldn’t identify with its neighbors, this school had dreams and resources and people and plans. UofL had a future. But it needed a chance. There was curiosity about Louisville among the national media and in 2004-05 the Cards had what could be the 1st precursor to ‘The Year of the Cardinal”. Football had an 11-1 season nearly beating a seemingly impossible Miami Hurricanes Football program and finished the season with a thrilling victory in the Liberty Bowl against another national curiosity, Boise State. Later that Spring the Cards crashed the 2005 Final Four, in July the program joined the Big East and everyone assumed the program’s final destination. The program had its chance & took advantage by adding to its football portfolio ultimately going 41-9 during the stretch from 200-2006 and capping with an Orange Bowl win. 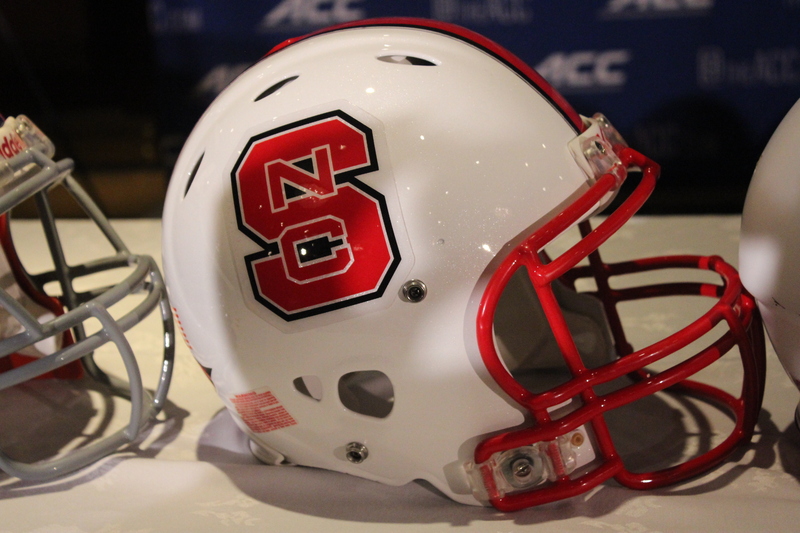 Conference Realignment is driven by Football and the wheels were set in motion years ago. College Football may move at glacial speed, but that pace gave the University of Louisville time to make up the ground necessary to make the move it is making today. The Bowl Coalition, the Bowl Alliance, The BCS, and now the College Football Playoff terraformed (and will continue to do so) the landscape of College Athletics. Louisville Football was nearly disbanded in the 1980s. Denny Crum and Louisville Basketball kept the entire athletics program afloat. Howard Schnellenberger had a dream. Bill Olsen had facility plan. But the future of College Football was in conference affiliation, and Howard Schnellenberger wanted his program to remain an Independent. The Cards lost “The Pipe” to Oklahoma and a year later joined C-USA in 1996. In October 1997, Papa John’s Cardinal Stadium was under construction and was set to open 10 months later, it was Schnellenberger’s Dream, and only made possible by the funding momentum from a 1991 (1990 season) Fiesta Bowl beatdown over Alabama, and 1993 Liberty Bowl win over Michigan State. Campus was about to change, and University President John Shumaker (with the help of several key boosters) had hired the man who would go on to affect that change, Tom Jurich. Jurich immediately went to work. Focusing on two-key areas: 1) targeting previously untapped resources in alumni & corporate donations; and 2) Title IX inequities. He also had two key aresa of housekeeping: Hiring a Football Coach & Not Getting UofL Kicked Out of Conference USA. Mike Slive accepted Tom Jurich’s plan & John L. Smith opened Papa John’s Cardinal Stadium and quickly began competing for conference championships. Simultaneously, Tom Jurich began securing funding and putting shovels in the dirt building the facilities that would re-shape an entire campus and inspire growth in student-life & academics. The alumni has never been more engaged in its school and UofL recently completed a $1 Billion Fundraising campaign. Still, after hatching several new athletics programs and constructing stand-alone facilities for every sport within the portfolio Louisville still found itself on the outside looking in when Pittsburgh & Syracuse were invited to and accepted membership in the ACC in September 2011. TCU backed out of planned membership in October 2011 and the Cards lost out on a head to head bid with West Virginia to join the Big XII later in the month on October 28, 2011. It seemed like UofL might be stuck in a defunct Big East that looked an awful lot like Conference USA for the long-term. During the 2011 season, the Cards were in the middle of a 5-year stretch where Louisville Football had won no more than 7 games in a single season. West Virginia had won now fewer than 9 games in a single season during that same stretch and the Mountaineers were the logical football property to select. Had the Cards not had to suffer through the 2007-2000 tenure of Steve Kragthorpe, perhaps the Big 12 would be Louisville’s home, but instead Charlie Strong oversaw the resurrection of Louisville Football. The 1st rumors of Maryland & Rutgers to the Big Ten were very vague & uncredible. Rumors of conference realignment ran rampant for 13 months but on November 17, 2012 it became known that the Terrapins & Scarlet Knights would be heading to the BIG, and immediately speculation turned to who the Atlantic Coast Conference would seek to stabilize the conference. Tom Jurich & President James Ramsey put on what they called a “full court press” to sway the opinions of university presidents within the ACC to choose Louisville over Connecticut. Just 11 days later on November 28, 2012 the invitation from the ACC came. Louisville was saved and found the LAST seat inside Conference Realignment’s musical chairs of the ‘haves” & “have nots”. Louisville beat out the Huskies with the more entertaining athletics program despite a smaller television market. Executives & Presidents were swayed beyond the # of Televisions in an area and instead focused on which program had the better appeal. Who IS watching became more important than who COULD watch. And the strides that the University of Louisville had made academically & improvements to student life on-campus also played a huge role. Where UofL goes from here is anyone’s guess. Tuesday will be Tom Jurich’s crowning achievement. More than BCS wins, College World Series, Final Fours, or National Championships. The program now has a stable and firm direction. It has a seat…..permanently at the table with the Big Boys. Louisville no longer has to play from behind with smaller Television Contracts, the Cards enter the Atlantic Coast Conference with the largest operating Revenue in the League. The ACC sports perhaps the greatest College Basketball league in the history of Collegiate Athletics, the reigning National Champion in College Football, Heisman Trophy winner, world-class non-revenue sports, and some of the country’s best academic institutions. The Future of Louisville is bright, and Tuesday is Tom Jurich’s day. Congratulations to Mr. Jurich. Congratulations to Cardinal Athletics, the Alumni, the Fans. It’s our day. We did this together.